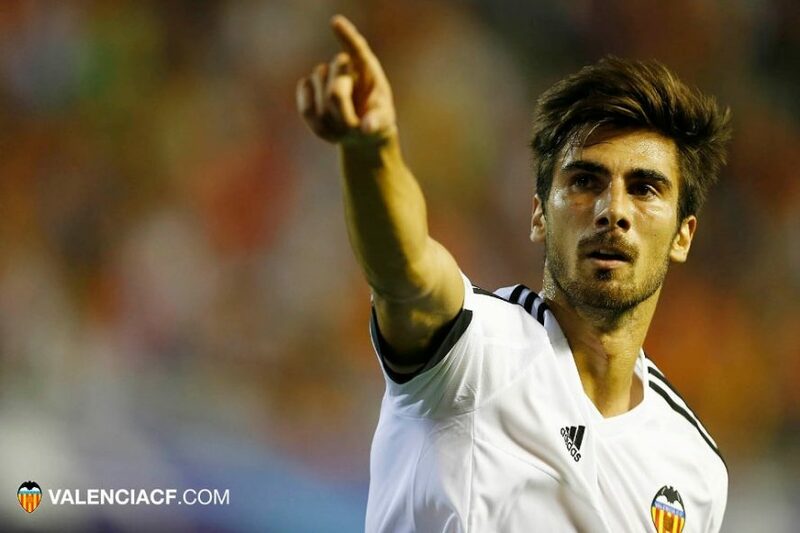 After the failed attempt at signing Renato Sanches, Manchester United have started keeping tabs on Valencia midfielder, Andre Gomes. With his reluctance to leave Spain and the club not wanting to release their most prized asset, owner Peter Lim has stamped a €65m price tag on the midfielder. The midfielder shows a willingness to get forward. He has good power and pace. For a player with his height (6’2), he has a decent skill set. He has good work-rate. Also a very versatile player, can play as an outside midfielder in a 4-4-2 set-up or play in the center of midfield and have box-to-box responsibilities. He is a right-footed player but likes to play on the left-hand side, so he can cut in to his dominant foot to create a chance for himself or his teammates, but is also comfortable using his left foot and driving down the end-line. This season has not been one to remember for Gomes. At the end of last season, he had surgery on his thigh muscle. When this season started, he did not have the same explosiveness and pace as the previous year. He is a high risk/high reward player, at times he will dribble into defenders or make the low percentage pass which leads to a turnover and counter going the other way. Also, he will show a bit of laziness on occasion and not track back on transition. Gomes seems bored when playing lower competition, he lacks the concentration and is a nightmare of a player when playing the likes of Levante or Getafe. Even though, he will get stuck in, the midfielder gets his fair share of yellow cards, he received eight yellow cards last season and twelve in all competitions this season. The midfielder is a player that is made for the Premier League, with its high intensity, he could thrive in Great Britain. His inconsistency is a spot of worry for supporters, you will not have a problem with him playing in a match against Manchester City, but he could be a headache on a Saturday afternoon at West Brom. The player is only 22 years old, so if he can develop better habits and be more in tune match in and match out, he could reach his potential and be a crucial part of your club for the next eight to ten years.